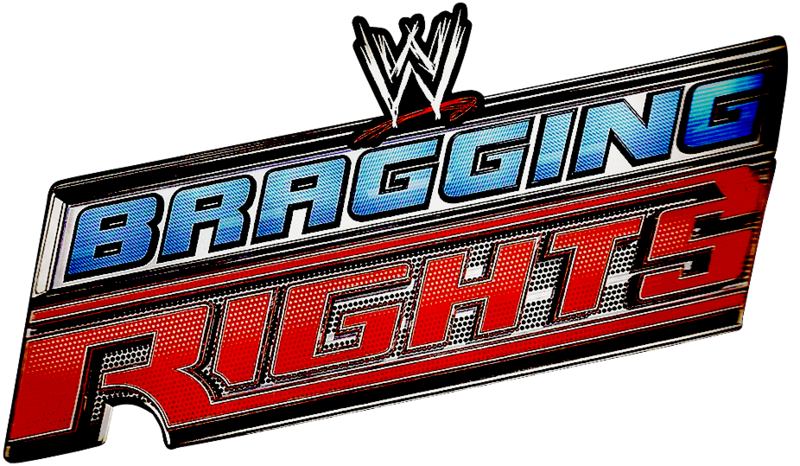 Bragging Rights was a professional wrestling event produced annually by WWE and broadcast live and available through pay-per-view (PPV). The event was established in 2009, replacing Cyber Sunday in the late October slot of WWE’s pay-per-view calendar. The concept of the show involves a series of interpromotional matches for “bragging rights” between wrestlers from the Raw and SmackDown brands with a Bragging Rights trophy awarded as a prize. Among the matches, a 14-man tag team match is held between the two brands. In 2009, the show that won the most matches out of the series won the trophy.However, in 2010, the winning brand was simply determined by the 14-man tag team match. The Smackdown brand won the trophy both times the event was held. Since its origin, the event has been held only in indoor arenas in the United States. Championship bouts are scheduled on every card, with the lower-tier titles featured on the undercard and the top-tier featured on the main card. Non-interpromotional matches for the card are restricted by the Brand Extension, where WWE assigns its performers to either the Raw or SmackDown, causing these matches to only be set up between wrestlers on the same show. In 2011, Bragging Rights was replaced by a returning WWE Vengeance as the October scheduled event. However, in 2012, WWE opted to have only one pay-per-view in October, WWE Hell in a Cell, scrapping Vengeance and moving Hell in a Cell to the last Sunday in October.